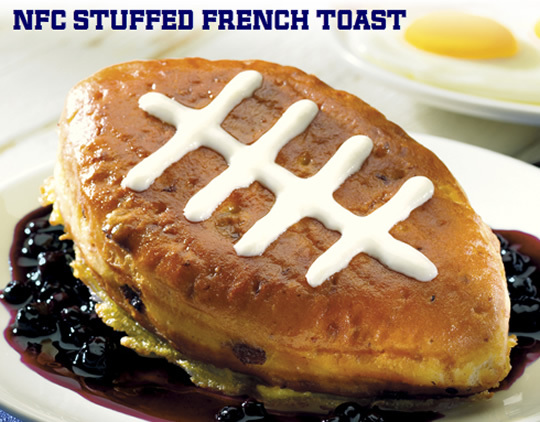 IHOP is doing some cross-promotion with the NFL to "offer the ultimate fan fuel for football enthusiasts," which means reworking and renaming some dishes, including the NFC and AFC Stuffed French Toast: A football-shaped version of their cinnamon raisin stuffed French toast filled with a sweet cream center. It's grilled and served on top of either "cool AFC strawberries" or "warm NFC blueberry compote." 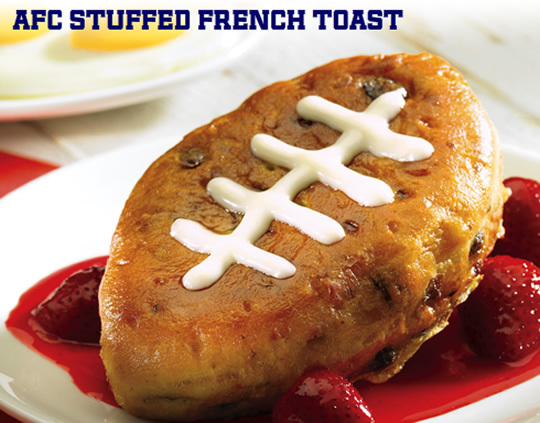 The frosting mimicking the football's stitches is a nice touch. Inventive!